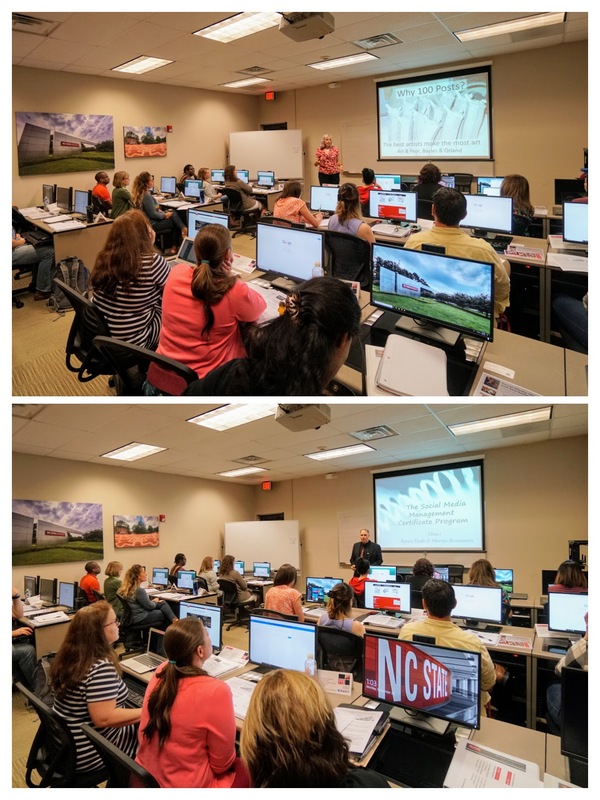 RALEIGH, N.C. - Dec. 14, 2018 - PRLog -- The latest updates to the Social Media Management and Marketing for Business program, currently being offered through NCSU's Technology Training Solutions, reflect the ever-changing landscape of social media while also expanding the course's coverage of digital marketing content. 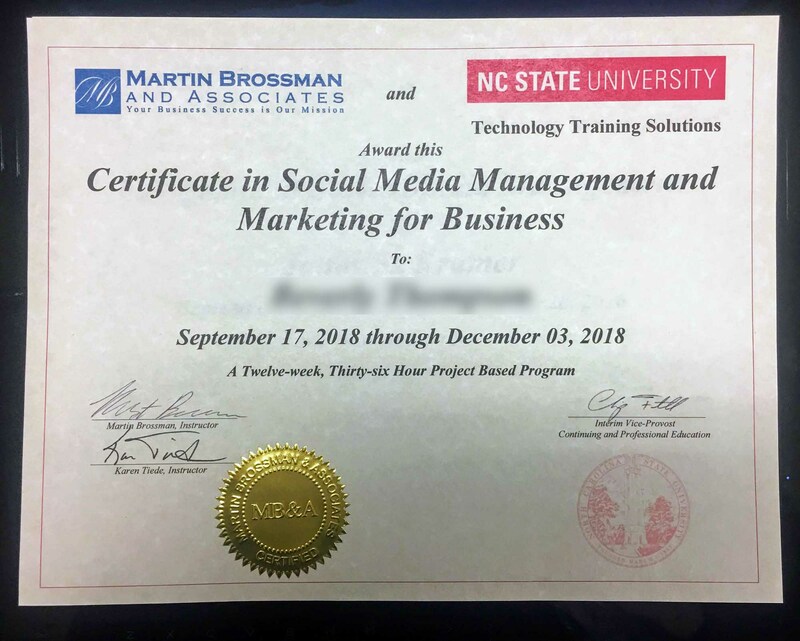 Since 2013, when the first Social Media Management Certificate Program was taught at Central Carolina Community College, Pittsboro Campus, students have developed strategic social media marketing plans for their small businesses or non-profit organizations. With the new content added this year, students now also learn about the broader field of digital marketing and are provided with the knowledge and tools they need to develop an effective digital marketing campaign. The course includes insights into social media management and marketing and introduces new social media marketing managers to social media tools and strategies, content creation and management, and project and risk management. 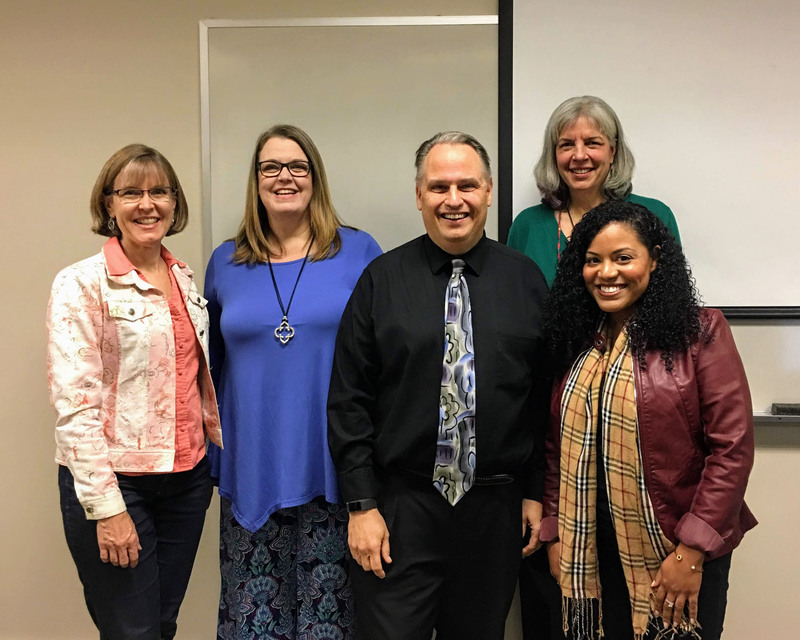 Instructors Martin Brossman and Karen Tiede have added to this the latest changes in social media platforms and broadened it to cover more digital marketing information, insights, and tools. Sherri Barham, Zenaida Nieves-Lee, and Kerry Mead, recent course graduates, also worked this year to revise and update the popular course's workbook. It now provides for more interaction in class, as well as provides tools and documents to accompany each week's presentation. In addition, the workbook includes document templates and worksheets to simplify the processes used by social media and digital marketing managers, and it provides an extensive list of online resources. Martin Brossman said, "Our commitment is keeping the training fresh and always improving, grounded in what the participants need to know to be the best in their field. I want to thank the workbook team, Sherri Barham, Zenaida Nieves-Lee, and Kerry Mead for their hard work." Social media can produce almost twice as many leads as trade shows, telemarketing, and direct mail. Because so many Internet users have social media accounts, it makes sense for any business to use social media technologies to tap their market potential. The Social Media Management and Marketing for Business course is a hands-on program designed to show business and industry marketers how to develop and manage an effective social media program. Course attendees follow a nine-step program to complete a full social media proposal and program for a business or nonprofit you wish to support. This course is taught by social media experts Martin Brossman and Karen Tiede. In this day and age, if you're in business, you're using social media to market your business. If you do it yourself, you know how much time it eats up in your workday. If you hire someone else to do it for you, you may not know if you're getting your money's worth. No matter how you choose to handle it, it's important that you understand how social media marketing actually works. That is exactly what participants get from this class, a clear understanding of which platforms work best for their unique situation, how to make use of these platforms, why it's okay to leave some platforms out of a plan, and ways to leverage social media tools to specific needs. Since 2006, Martin Brossman and Associates has offered social media marketing training for businesses through books, keynote addresses, and other talks on the subject and by providing comprehensive in-person classes such as these. 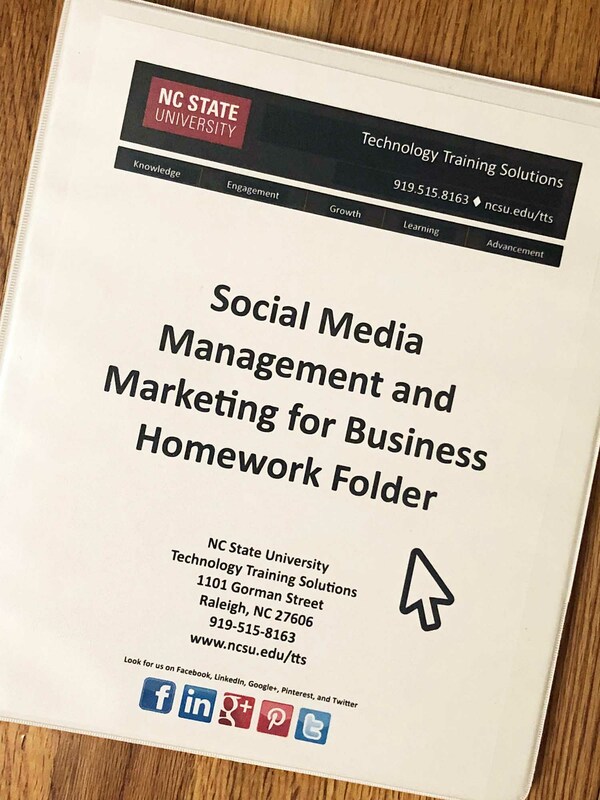 Since 2013, when the first Social Media Management Certificate Program was taught at Central Carolina Community College, Pittsboro Campus, students have developed strategic social media marketing plans for their small businesses or non-profit organizations. Martin Brossman is a success coach, speaker, trainer, and author who is committed to economic growth from the ground up. He has originated in-person and online networking groups, which have facilitated valuable connections between members. He incorporates social media marketing to accelerate growth for entrepreneurs, small businesses, and micro businesses. Martin Brossman has written three books on Social Media, all available on Amazon. To learn more about Martin just Google his name and you will find over 20,000 indexed pages of content and more than 10,000 followers on Social Media. Karen Tiede is a social media marketing consultant/trainer and a textile artist who has successfully applied social media to market her work. She is now teaching Marketing with Pinterest across NC and providing social media management services to her clients. Karen brings 15+ years of corporate experience to her work with professional, academic, and small business organizing. Sherri Barham is a designer, merchandiser, organizer, and personal coach that works with a variety of people, helping them transform and maintain their personal and workspaces. Sherri also uses her project management experience to coordinate resources, projects, and events for groups and organizations. Through building relationships and cultivating connections, Sherri strives to strengthen her local community. Kerry Mead is a technical and marketing writer, utilizing her graphic design, marketing, and web development experience to help businesses better connect with their audiences. She has worked in information development for over 25 years for companies such as Oracle, GlaxoSmithKline, JCPenney, Nortel, and LabCorp. Zenaida Nieves-Lee is a Navy Counselor Chief Petty Officer who has served in the military for over 18 years. As the Social Media Marketing and Advertising Officer for Navy Recruiting District Raleigh, she is responsible for recruiting men and women for service in the Navy using mass media platforms. Learn more about the Social Media Management and Marketing for Business program at http://mysocialmediamastery.com/, and see our Youtube videos at http://bit.ly/smmcponyoutube. See the current course at the NCSU TTS website at http://bit.ly/ncstatettssocialmediatraining.